Having wheels that look extra clean and shinny has always brought a lot of pride to automobile enthusiasts. Keeping your wheels looking their best year round can be easily achieved with the Optimum Metal Polish. This new formula cleans, shines and protects in one step. Apply one small drop to a microfiber towel or soft cloth and spread the product over a small area. Then with light to medium pressure buff the product in and later wipe away the excess product with a clean towel. You will be amazed with how it removes stubborn build-ups like embedded brake dust, dirt, road grime, etc. It also removes oxidation and other hard to see imperfections which make the wheels look dull. This helps reveal and extremely vibrant shine that really makes your wheels look outstanding. You can use it on almost all bare metals (i.e. chrome, alloy, aluminum, etc. ), clear coated wheels, exhaust tips, trim, bumpers, engine bay, etc. It also leaves a barrier of protection that repels contaminants and makes future cleanings much easier. Restore your wheels to like new with the new Optimum Metal Polish! Optimum Metal Polish is formulated to clean, polish, and seal aluminum, chrome, and stainless steel surfaces. It will create a mirror shine on these surfaces that can not be duplicated with any other product. 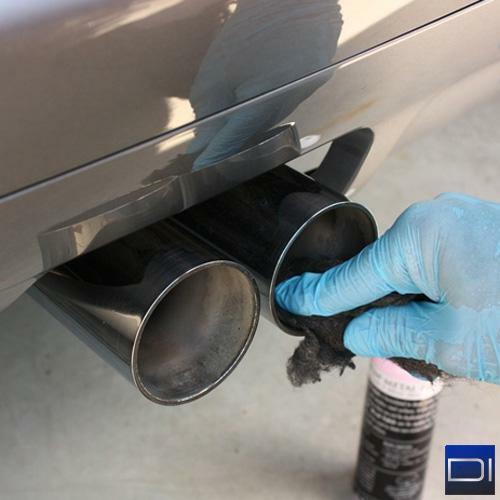 Optimum Metal Polish can be applied by hand or buffing machine and can be used to clean non-coated wheels, metal trims, and all other metal surfaces. Apply the product using 100% cotton cloth. Continue working the product in a circular manner till all the oxidation is removed. Remove the oxidation with a clean cotton cloth. Apply product to the pad and then buff the surface with medium speed. Remove the oxidation with a clean 100% cotton cloth. 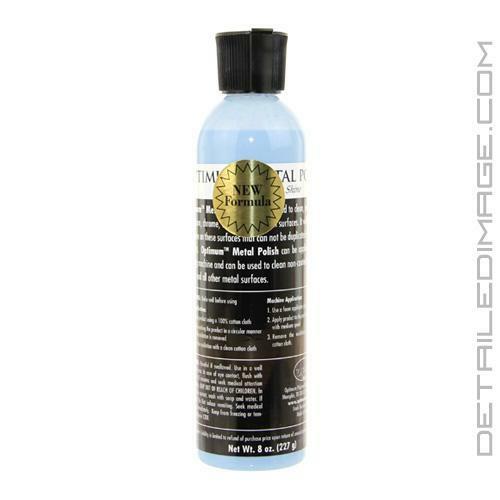 Have a Cessna I used polish on, so far this is the best product I have tried. I am waiting to see how long the protection will last after polishing though. I will update in a few months and see how it holds up. Very easy on and off with Cyclo Polisher. Polish works well. A little runny, but it does a great job cleaning dirty pipes and other chrome finishes. I don't know why I'm ever surprised when I try another Opt product & the results exceed my expectations, but I'm absolutely floored by what Optimum Metal Polish delivers. Can not wait to tackle my Airstream. Wish I could purchase by the gallon! I appreciate the great customer support and I'm very impressed. I'll definitely make more purchases in the near future.